This is the third Turkish derby in the space of four weeks in Group E and it sees Anadolu becoming the latest team to try and halt the Fenerbahce juggernaut. The hosts hold a 3-2 record coming into this game, and a 9-6 record overall for the Euroleague season, but the away team is currently 5-0 in the Top 16 and 13-2 overall. 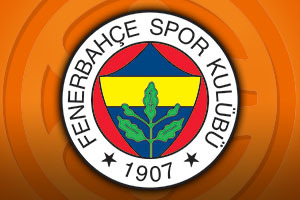 The home fans would love to see Fenerbahce stumble this week. While the away team comes into this game on a brilliant run of form in the Top 16, Anadolu know that they have what it takes to beat them. 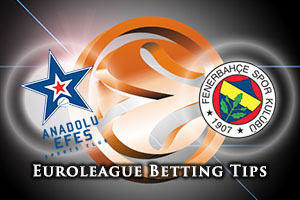 Efes have notched up a domestic victory over Fenerbahce this season and if any team is going to have the confidence to take their opponents down a peg or two, it will be Anadolu. With players like Thomas Huertel, Jayson Granger and Jon Diebler on form, the hosts will feel that they can take on and defeat anyone in Istanbul so local rivals won’t scare them too much. The hosts can triumph in this game but they need to believe in themselves. Against any other team, Fenerbahce would likely be in the greatest of confidence but a local derby creates a different kind of atmosphere. The away side knows that they lead the way with respect to the Top 16 index rating, a score of 108, with respect to scoring, averaging 89.4 points per game and with respect to three-point accuracy, with 43.6%, but they have also lost to Anadolu on domestic duties, and that will place some doubts in their mind. However, if players like Bogdan Bogdanovic, Ekpe Udoh and Bobby Dixon play in the manner that we all know that they can, it could 6-0 by the end of the week. The bookmakers actually make Anadolu favourites but given the strength and desire shown by Fenerbahce this season, take the away team at +2.5, which you can find at odds of 1.90. If you are looking to get involved with the Over/Under market, look to go OVER 162.0 which is on offer at odds of 1.90. Bet Now!